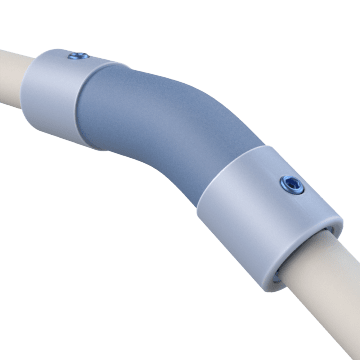 Well-suited for applications with vibration and shock loads, these one-piece rubber sleeve flexible couplings have two metallic hubs that are connected by a flexible rubber sleeve. Commonly used in direct-drive equipment, they are highly flexible and can withstand angular misalignment (shafts are set at an angle to each other) and parallel misalignment (shafts are misaligned but parallel) when connected between two shafts. They do not require lubrication. Set screws are included for connecting the hubs to the shafts.